Social media has exploded the ways that businesses can engage their target audience. Using visual images in your post, tweets, and shares increase views and sales. According to a report published by the Social Media Examiner, 80% of marketers use visual assets in their marketing and sales campaigns. Videos are also important, and growing in popularity both by marketers and audiences. In fact, the Social Media Examiner report stated that the use of video alone has surpassed blogging as a social media asset. With video capabilities expanding across social media platforms, they are now considered a crucial marketing tool. Live videos have a bigger impact than pre-recorded ones, but creating personalized videos delivers the best results. 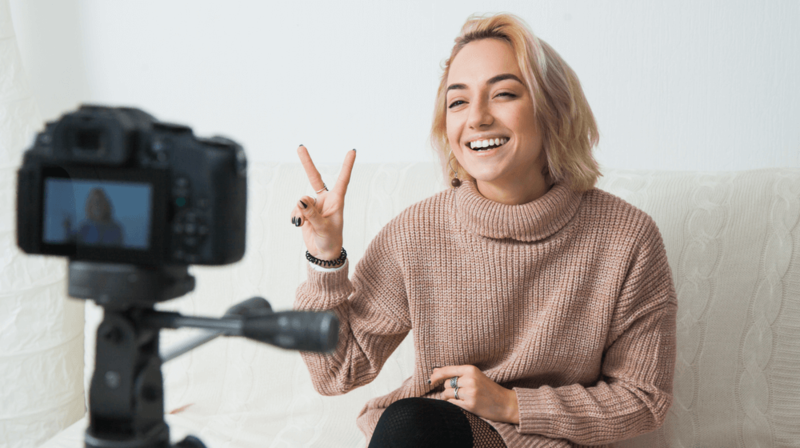 Just like a personalized email, personalized videos capture the attention of the recipient and provide a new and exciting level of engagement. The process begins with a video template and the recipient’s name, business name, photo or other information directly inserted into a relevant video. This is key. If the information provided in the content isn’t important to the viewer than no amount of personalization will make a difference. Many companies create a selection of personalized videos, allowing them to match the right content with the best prospects or customers. Special Events such as holiday greetings, shop openings, etc. Integrate the right visual and message with the business and personal information to create an unforgettable and actionable marketing piece. There are two broad categories of personalized emails, the one-to-many and the just-in-time or on- demand. The one-to-many personalized video campaign is sent to a large group of people via email. The content is relevant to their interests and needs but is broad enough to engage many people. This is used for introducing a new product, encouraging post-event sales, and connecting with new customers. The just-in-time or on-demand personalized videos are rendered and shared in real time based on an automated action from a website, backend workflow trigger or as requested by the sales team. They can be used when a website visitor requests information, to deliver custom demonstrations, and so much more. The data they share is used to create the specific video which can be immediately available online or sent via email. It’s also a great way to acknowledge milestones such as birthdays, work anniversaries or even celebrating how long the recipient has been a valued customer. Personalized videos combine two elements that transform into something that is greater than the sum of its parts. Personalized emails increase conversions by 10% and clickthrough rates by 14% and companies that use video on landing pages have increased their conversion rates by 80%. When the subject line of an email states that there is a personalized video, open rates increase by 272% and clickthroughs and conversions rise as well. With a selection of videos, a potential customer can have a personal experience from the first website visit to a sale. This provides a positive customer experience that can result in long-term loyalty. The process is like mail merge, but for video. It starts with a storyboard that tells a great story and has the perfect place or places to include the viewers personal or business information. The video shoot will include specific places for thumbnails to be inserted and where the personalized information will appear. These can be on placards, newspapers, cards, billboards, postcards, business cards, home for sale/sold signs, on cakes or cookies, envelopes, tickets and anything else you can think of. A trick of the trade is not to center the thumbnail on the screen because it might become hidden by the play button. Next, you need software, such as SwitchMerge from SwitchVideo, which will merge your videos with your Marketing Automation Platform (MAP) and/or Customer Relationship Management (CRM) system to create the personalized piece. Once the videos are rendered and personalized, they can be emailed to prospects and customers with a compelling subject line. For businesses that don’t have the skills or interest to do this work themselves, there are several companies, including VSM New Media, vidyard, and idomoo, with the skills, tools, and experience to get the job done right. People love personalized items, from t-shirts to coffee mugs. For this reason, personalized emails are more effective than impersonal ones. The same is true for videos. Match the right content with a personalized video to engage customers and prospects on deeper levels and make a lasting impression.